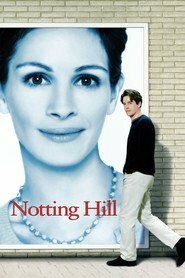 Living... in Notting Hill, London. The weekly farmers market is the best thing about the neighborhood – they offer a wide selection of fruits. Profession... shop owner. He owns a bookshop that exclusively sells travel books. Will admits that people don’t really want to read about traveling, they just want to travel. Relationship Status... divorced. His dating life has been a disaster. He has only loved two women. He says, "The first one marries me and then leaves me faster than you can say Indiana Jones, and the second one, who seriously ought to have known better, casually marries my best friend." Challenge... overcoming the hurdles of dating a celebrity. Will finally meets someone in his bookshop, but the relationship seems to be doomed. Anna is a gorgeous Hollywood star and Will’s polar opposite. Personality... old-fashioned. Anna makes fun of him because he says words like “Whoopsidaisies.” He is an affable guy who doesn’t take himself too seriously, a quality that makes him so charming to Anna. Will Thacker's popularity ranking on CharacTour is #2390 out of 5,000+ characters. See our top-ranked characters and read their profiles.